Hey man I understand the scrutiny, rules is rules. I can dig that. Anyway, the rules stated "no volume control, all sounds must be either full volume (F) or completely off (0)" right? so I didn't mess with the volume column at alll in my track. But what I didn't consider, like a total n00b tobias, was Defle's automatic volume tails added to the instrument macros (I just started using trackers about a month and a half ago). 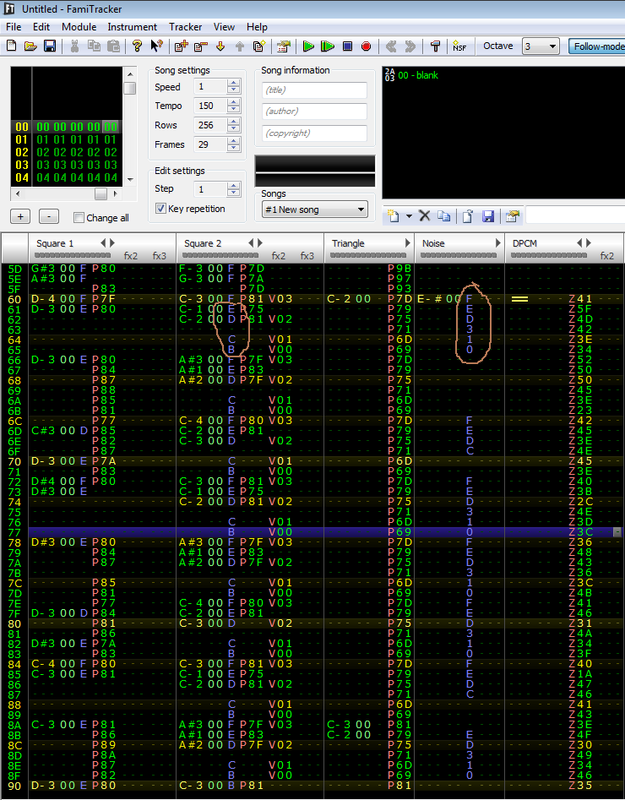 So what you are seeing in your links must have been volume tails in Deflemask's instrument macros, but I cranked the instrument volume macros to full and it sounds theee same. As for the volume control in the volume column, I didn't input a single value.